Grand Central Terminal is 100 years old this year. Before Grand Central Terminal, there was Grand Central Depot, built by William Vanderbilt in 1898 as the expansion of the old station. There were four clock towers on the roof, and at the corners of those towers there were 12 huge cast iron eagles. The eagles at that time were recognized nationally as a symbol of the country’s growth. They represented flight, movement, travel and were a symbol of patriotism. 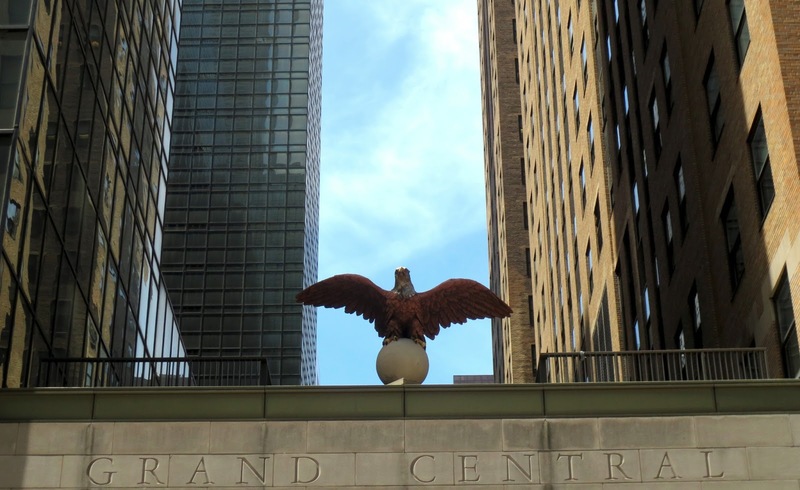 The corners of the 61st floor of The Chrysler Building, built in 1928, are graced with eagles. 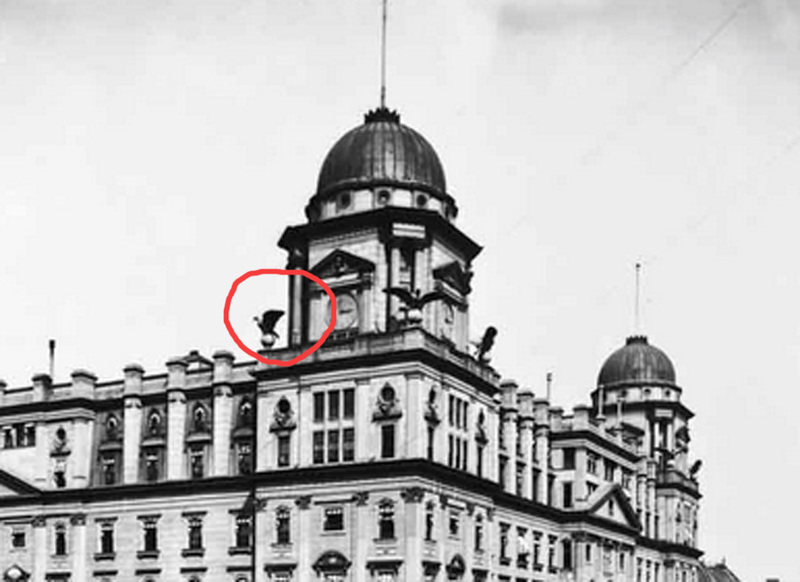 There were eagles on the Pennsylvania Train Station, that was built in 1910 and demolished in 1963. Old Grand Central Depot was destroyed in 1910 to give way for the new station, built in 1913. Two massive black iron eagles from the flock that rested on Grand Central Depot roof, were taken to the entrance to Willie K’s Centerport, Long Island, Eagle’s nest and today greet the visitors. The beautiful Spanish Revival mansion was built in 1910 and owned by William K. Vanderbilt II, founder of the New York Central Railroad . The estate is located on the Northern Shore an hour drive from the city. There is a museum now with extensive collection of artifacts and natural history specimens. Vanderbilt traveled around the globe and his collection is the largest privately held collections of marine specimens in the world. Different private estates and institutions bought other eagles. By mid-century, the majority of these estates had been divided into smaller lots, and many of the birds were almost lost. One of the eagles was found more than 70 years later. The couple from Bronx found it in the backyard of their newly bought house in Bronxville. The bird was almost invisible because of the overgrowth. Their daughter went to school with the grandson of Mr. Conway , the chairman of the Metropolitan Transportation Authority, which owned Grand Central Terminal. The grown-ups got in touch and Mr. Grand Pre and Ms. Hawkes decided to donate the bird to the terminal project. It was placed at the Lexington Avenue entrance to the Grand Central Market in 1999. 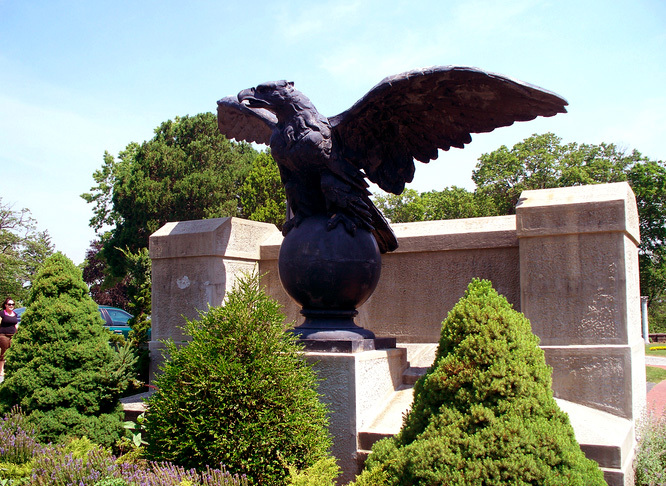 In 2001 the Metropolitan Transportation Authority, which owns the terminal, rescued another eagle from a Franciscan Friars monastery in Garrison, N.Y. For many years it was mounted on a bluff overlooking the Hudson River on the former estate of U.S. Rep. Hamilton Fish in Garrison, N.Y. After undergoing extensive renovation, the eagle was installed above the terminal's southwest entrance, at 42nd Street and Vanderbilt Avenue, complementing the other original eagle perched above the entrance to Grand Central on Lexington Avenue and 43rd Street. Architectural Iron company did the restoration work in both cases. Each Eagle was nine high, with a wingspan of 14 feet and a weight of 4,040 pounds. Architectural Iron Company wanted realism and perfection in all respects and called upon the expertise of Bill Streeter of the Delaware Valley Raptor Center. Iron Company wanted to know what color to pain the eagle's tongue( eagle's tongue is pink). 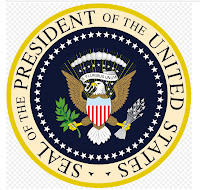 The Bald Eagle became the National emblem in 1782 when the great seal of the United States was adopted. 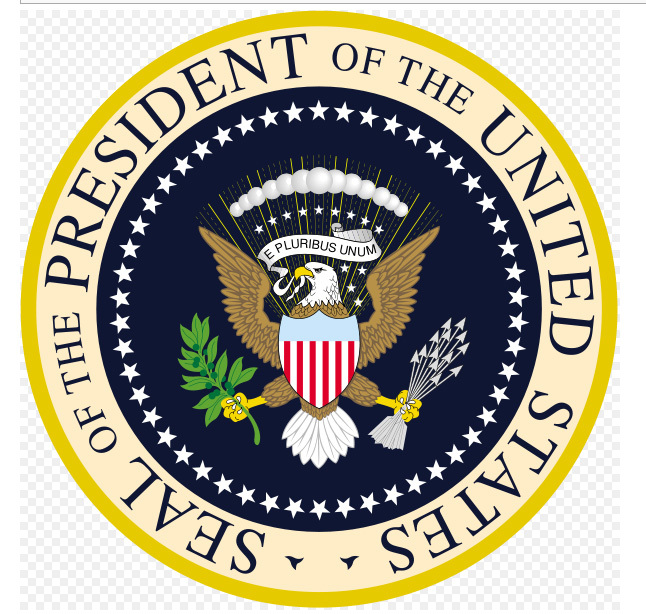 The bald eagle is displayed on the backs of American monetary units, military coats of arms and national symbols all over the country.You can see the image of the bald eagle almost everywhere. The head of the eagle is not bold at all - it is covered with white feathers. Of all birds in the world, Bald Eagles hold the record for the biggest nest ever built. 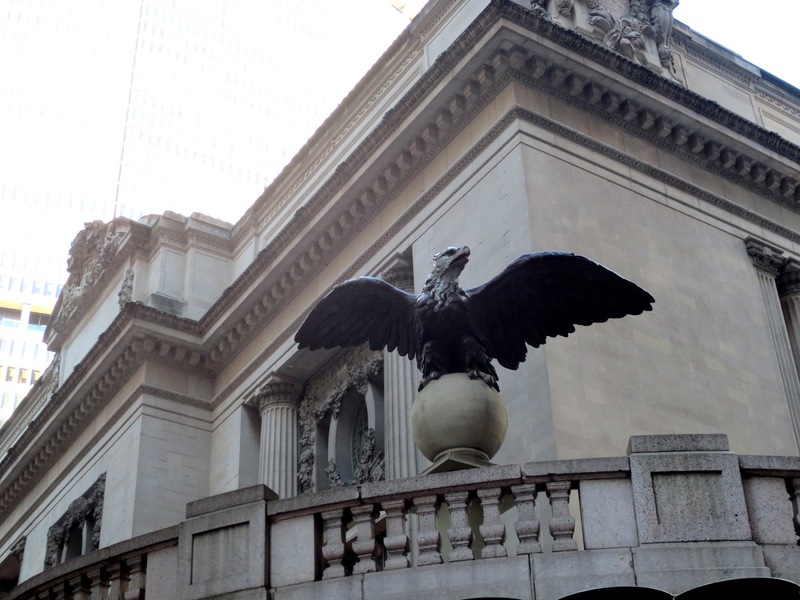 Six years ago, in 2007, another eagle from Grand Central Depot was found by the investigators from “History Detectives” by PBS (Public Broadcasting Service in US). The eagle belongs to family-run Space Farms Zoo and Museum in Sussex, NJ. More than 80 years ago, in 1927, this place had been started as mom and dad general store. Then The Great Depression hit the country. 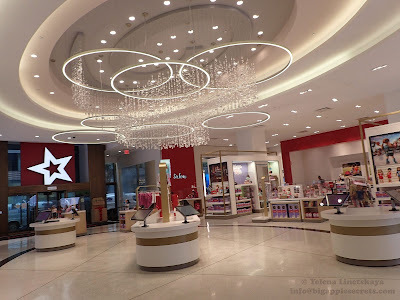 It was difficult for the customers to find even a penny and they brought their possessions to trade for groceries. Elizabeth, the original owner of the farm, displayed the treasures around the shop. It was the beginning of the museum. The statue's previous location is not known - it was brought to Space Farms in the mid-1960s. 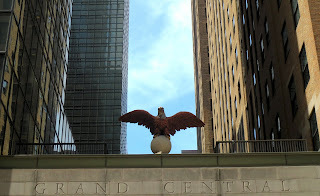 Experts proofed that it is a Grand Central Station bird. PBS published a story about the Cast Iron Eagle found in Space Farms Zoo and Museum in Sussex, NJ.